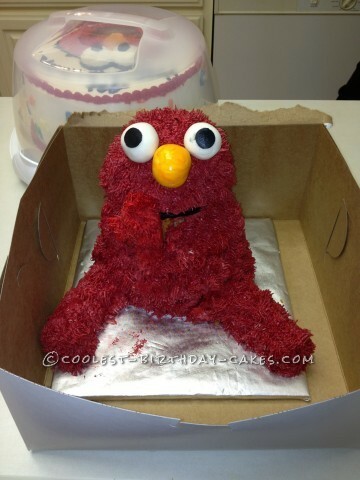 Elmo was created by first using a Wilton Stand Up Cuddly Bear pan. After baking I cut the feet and the ears off. I used a hair/grass icing tip and red tinted butter cream frosting to cover the entire bear, then drew the mouth in with a tip #3 black line. 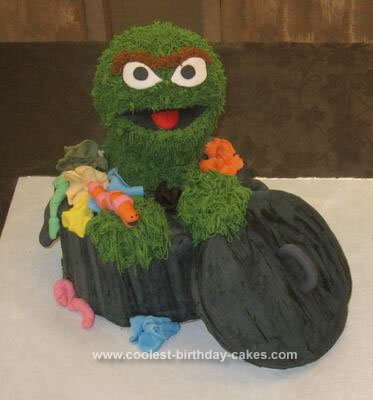 The eyes are made from untinted fondant with a black circle cut from a Sugar Sheet for the pupils. The nose is yellow tinted fondant. The eyes and nose are on toothpicks to keep them from sliding off his face. For the legs I used 3 jumbo marshmallows and covered these with frosting to look like Elmo’s legs, and built up the ends to resemble feet. 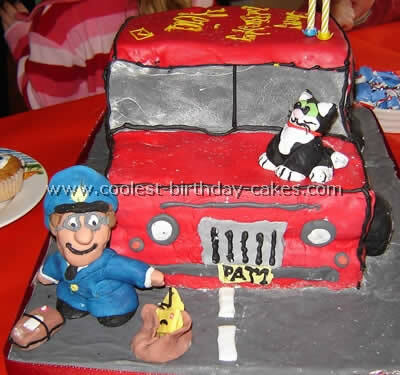 Birthday cake idea posted by Lorna B.